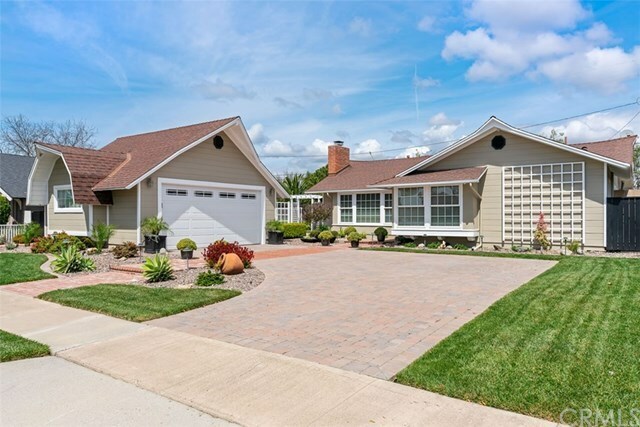 The perfect Rossmoor home! Totally turnkey bright and sunny 3 bdrm 2 bath "Farm House" model. Attention to every detail makes this showpiece home perfect! You must see this updated home to believe it. Dual pane windows with custom window shades, A/C, immaculate serene front, side and backyard with stream feature. Great yard and patio areas for Entertaining. Room to expand. Interior tract location. Finished 2 car detached garage with attic storage. Too much to list! Kids walk to Rossmoor Elementary in the highly regarded Los Alamitos School District. Directions: From Los Alamitos Blvd/Seal Beach Blvd go West on Rossmoor Way.